This week's Sun on Saturday is much closer to home and is the Greenwich Tall Ships Festival which was held last September. It's a four day regatta with the ships sailing to Greenwich from Falmouth. We popped down into Greenwich on the Saturday afternoon and it was busy as lots of other people had the same idea. 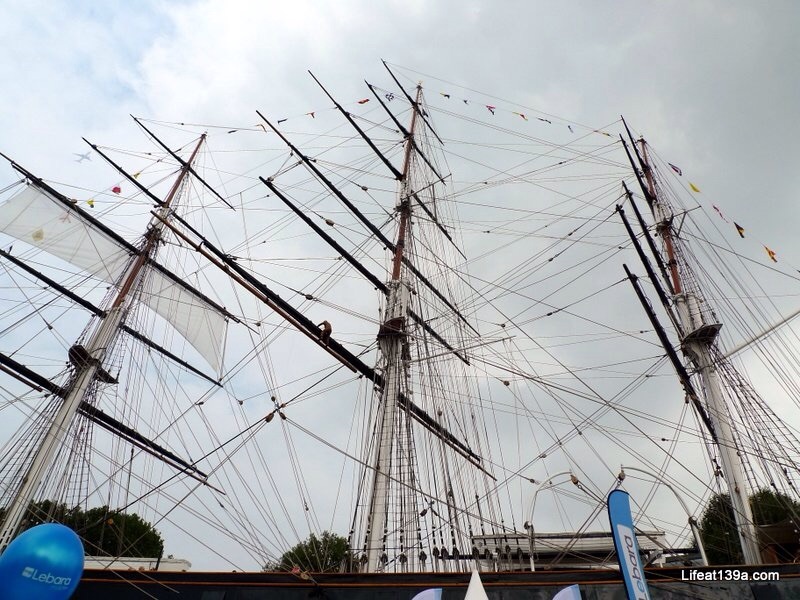 As with most of our visits to Greenwich this one started with a glimpse of the Cutty Sark. It's one of my favourite views in Greenwich. As well as the traditional tall ships, there was a huge cruise ship docked towards Deptford. We headed down the river and I managed to get a couple of clear shots of the tall ships as they sailed past. Don't they look magnificent? And I couldn't finish this post without sharing a photo of Greenwich's fine buildings so here's a quick shot of the Old Royal Naval College. And with that we dashed back up the hill and home - it was only a short visit, but I couldn't miss what was happening right on my doorstep now could I?